In the early 1920's the Pennsylvania Railroad developed plans for a steel-sheathed box car and designated the design X-29. 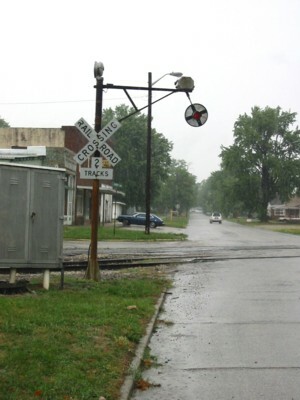 Production of this design began in 1924 and lasted into 1934. During this time period almost 30,000 Pennsylvania X-29 cars were built. Not all X-29's were the same. Their parts components varied from the original cars almost immediately. Variations included: frame components, brake systems, side sheathing, ends and doors just to mention the major changes. Our 1924 X-29 kit represents the X-29 produced with the split K-brake or AB brake (added later), flat ends and side sheathing lapping away from the door. Our ARA kit represents the ARA's version produced with the split K-brake or AB brake, flat ends and side sheathing that has the 2nd to last panel from each end of the car overlapping its adjacent panels. There are many photographs showing X-29's lasting into Penn Central maintenance of way service. 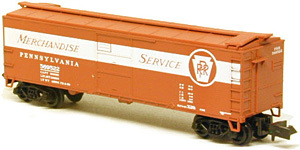 N Scale X-29 & ARA Box Cars are available decorated Ready To Run. This model won the 1999 Model Railroader Reader's Choice Award for Rolling Stock.